Make a climbing wall for your axolotl! Get a plastic mesh grate similar to the kind used for an undergravel filter. 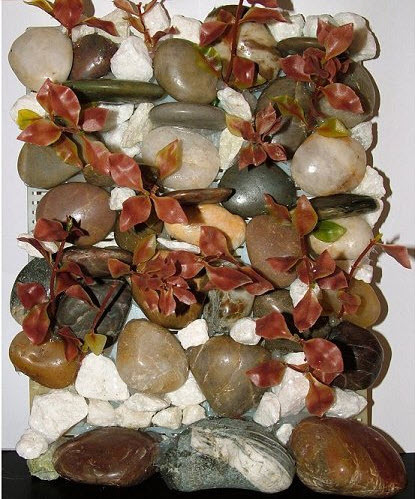 Glue smooth river rocks, small pebbles, and pieces of soft plastic plants onto the grate with aquarium silicone. Attach suction cups on the back corners of the wall and use the suction cups to attach the wall to your pet’s tank.